Anna and Bob Minter know about birthday parties. 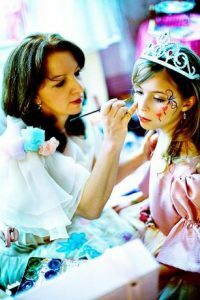 Besides being parents to four children, and educators they are the owners of Anna’s Party Works, a children’s entertainment company that has kept their calendars full since 1985. With the belief that families are working harder than ever to balance busy schedules, and that quality time is at a premium, you will find that Anna and Bob are working with excitement and passion to deliver the finest in party packages. Each event is as distinctive and special as the company or celebrated guest of honor. 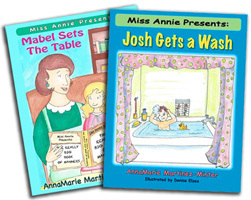 With western themes that include Cowboy Bob and Molly the Pony, or Lovable Miss Annie with her entourage of mischievous puppets, an award winning face-painting team, balloon twisting artists, and interactive hands-on activities, including science themes with Professor Zasslow or a Treasure Seeking Pirate. And now with the addition of three colorful jump houses and large group games including outfitted referees, parents can sit back and enjoy the party. For Anna and Bob Minter, their love for children coupled with their enthusiasm for excellence in education, has inspired them to keep developing innovative and educational themes to keep children entertained. Most recently the couple formed an “edu-tainment” company, Gracious Me™, in 2006. Gracious Me™ now offers Dress-Up Dreamy Tea Parties at a downtown location. To view the different themes, even themes for boys, you can visit Gracious Me Academy. Anna and Bob believe that the time to celebrate life’s most memorable events is now, because children won’t be children forever. © 2019 Anna's Party Works. All Rights Reserved.